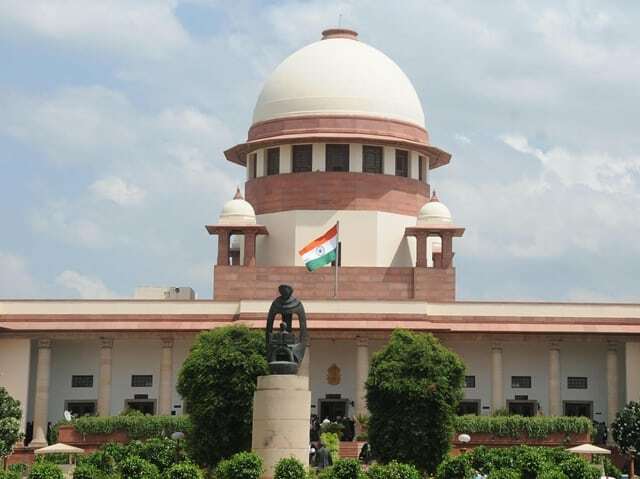 The Supreme Court on Tuesday directed Kolkata Police Commissioner Rajeev Kumar to appear before the CBI, in investigations related to the Saradha chit fund scam. The bench headed by Chief Justice of India Ranjan Gogoi, however, said that no coercive step should be taken against Kumar. Rajeev Kumar will now appear before the CBI in Shillong, Meghalaya as a neutral place. The case will now be heard on February 20. “The CJI bench ordered that Rajeev Kumar should make himself available in light of the prayer of the application of the CBI and fully cooperate. At the same time, the court stated that no coercive steps would be taken. It has also been made clear by the court that the personal appearance after filing of replies of the concerned officers may be required on February 20 and that will be communicated by the Secretary General of the Supreme Court on February 19,” said senior lawyer and BJP leader Nalin Kohli. This comes amidst West Bengal Chief Minister Mamata Banerjee’s Â ‘Save the Constitution’ dharma, which started on Sunday after the CBI attempted to arrest Kolkata Police Commissioner Rajeev Kumar in connection with the Saradha chit fund case, which was foiled by the state police. “In the first instance, there was no need for what happened on Sunday and cooperation could have been intended easily to CBI, which is pursuing to the order of the Supreme Court. The fact that Rajeev Kumar has been directed to assist CBI in every way possible clearly shows that the actions that were being contemplated and taken by the Kolkata Police were not in the correct light and spirit of what should have been done,” Kohli said. The CBI had today filed an affidavit in the Supreme Court alleging that there are several incriminating materials or correspondence in the Saradha chit fund case that were collected during the investigation by the CBI against the senior police officials as well as senior politicians. The CBI affidavit states that the investigation was being done by SIT and crucial evidence such as laptops, mobile phones among others were handed over to the main accused in Saradha scam case by the investigating officer of West Bengal police working under direct supervision of Rajeev Kumar. The affidavit further states that return of crucial evidence to main accused by the SIT, despite regular monitoring by Calcutta High Court, clearly show connivance of SIT to a larger conspiracy wherein local authorities obstructed probe and attempted to destroy evidence prior to transfer of the case to CBI by the Supreme Court. The CBI is investigating this case under a “hostile environment and non-cooperation from the state of West Bengal and itâ€™s agencies/departments”, the petition said. Rajeev Kumar, a 1989-batch IPS officer, has been serving as Kolkata’s police commissioner since January 2016. He has reportedly not responded summons from the CBI in connection with their probes into the Rose Valley and Saradha ponzi scams. Kumar led the SIT investigation into the scams until 2014 when the agency took over following directions from the Supreme Court. The CBI was slated to question Kumar about documents that reportedly went missing.